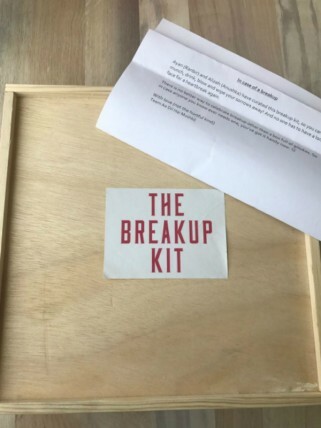 Remember the time when Deepika Padukone and Saif Ali Khan celebrated their ‘breakup’ with a breakup party in the movie Love Aaj Kal, kickstarting a whole new trend of breakup parties in the country? Well, now you have a breakup song to dance to if you’re mending a broken heart. Ae Dil Hai Mushkil has just released its latest song – The Breakup Song, and it is already going viral. The peppy dance number is picturized on Ranbir Kapoor and Anushka Sharma, as they let their hair down to celebrate Anushka’s breakup from her ‘saiyaan’. The wacky lyrics are written by Amitabh Bhattacharya and the song has been voiced by Arijit Singh and Jonita Gandhi, with inputs from Nakash Aziz and Badshah. 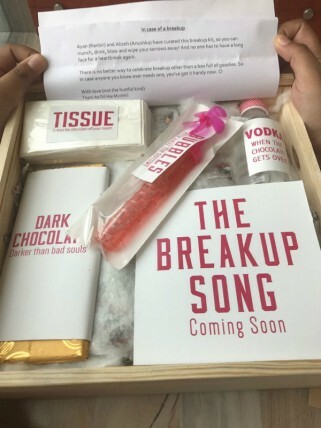 As a teaser to the song, filmmakers had also released images of a breakup kit, which contained a lot of great goodies, to “munch, drink, blow and wipe your sorrows away”. The song also features Lisa Haydon in fleeting scenes. Did you manage to spot her? Say goodbye to all the rona-dhona over your ex and play this song on loop! Are you on your feet yet?